Today was all about repeats. 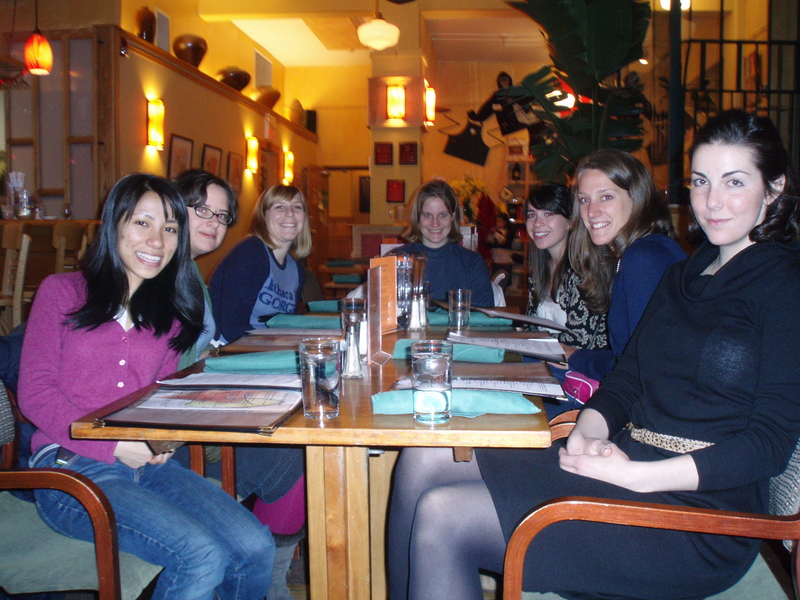 Take Two #1: Dinner at Moosewood! On Thursday nights, students get 15% off! Remember when I went with the lovely fella a while ago?? This time I went with some friends. Sadly, I forgot my fancy camera! It was packed up and ready to go but in my rush out the door I left it behind. I did however have my crappy point and shoot (I really need a new one!). Started with a delicious salad exactly like last time. 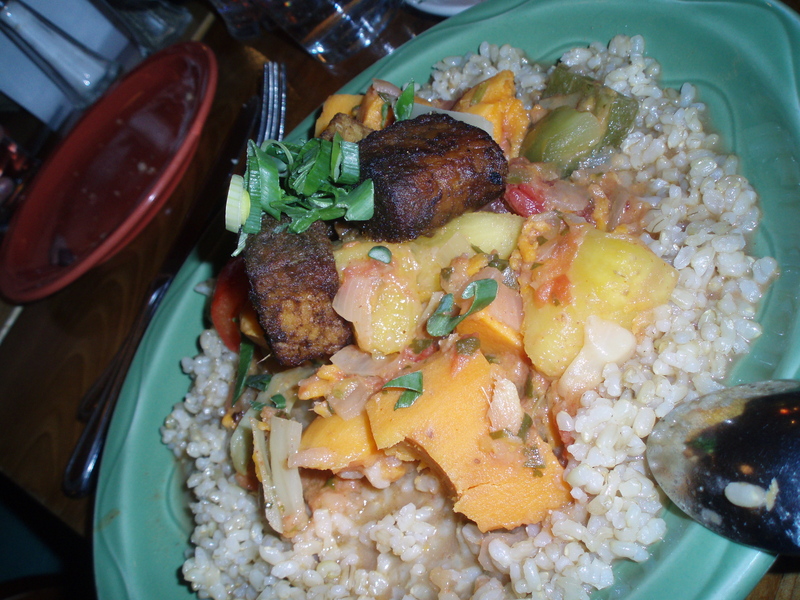 As an entree, I had a delicious Caribbean Pineapple-Peanut Stew: “Sweet potatoes, cabbage, tomato, bell peppers, and fresh pineapple simmered with ginger, lime, chiles, cilantro and peanut butter; served on rice, with jerk tempeh.” Spicy and tangy! cheeses and egg custard; served with apple-celeriac remoulade). 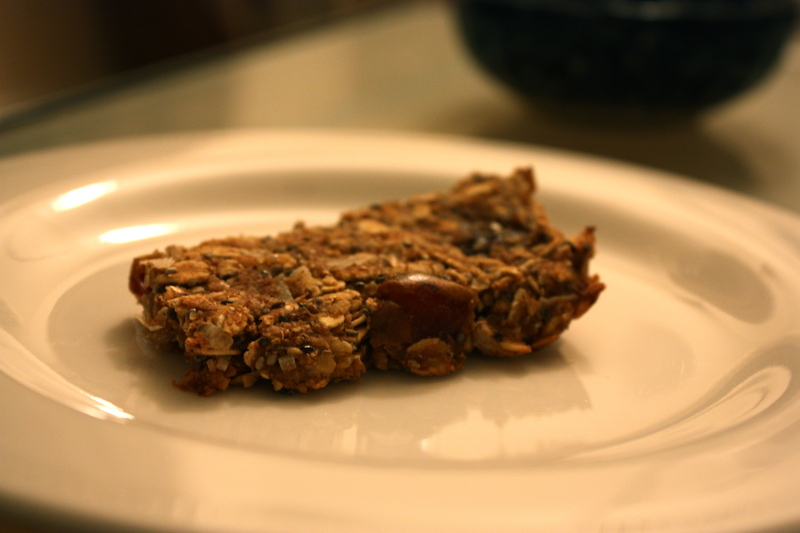 Take Two #2: Granola Bars! Combine all ingredients, bake at 350F for 25 minutes. Anyway, I’m pooped and I still have a ton to do! that caribean stew looks fantastic!!! isn’t it fun to have good meals with friends!? I miss that! 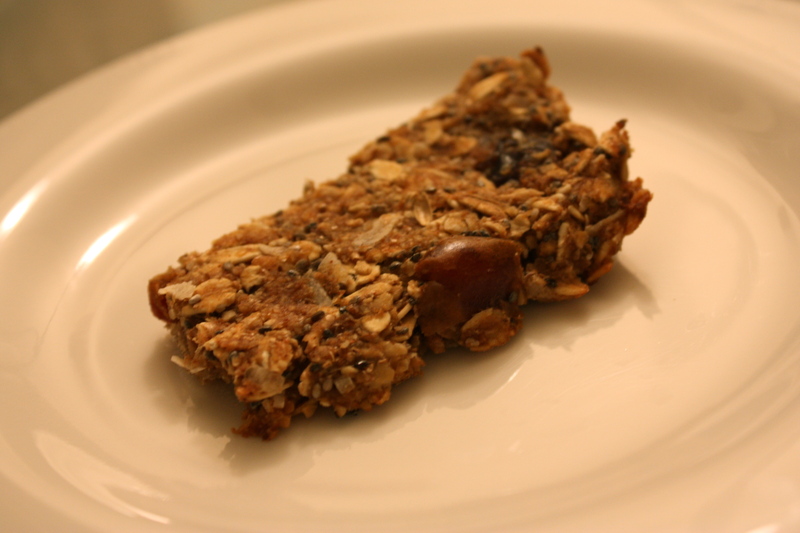 #2: Major granola bar love. Great nutrition stats, too. Those granola bars look awesome! Dates AND coconut? YUM. Aww I love dinner with friends! Your meal looks so wonderful!! So jealous that you get to go to Mooosewood! I want to go there so badly…and I’ve been wanting to make some jerk tempeh lately! Depends on if u love tea hot and cold. You could brew a big pot in the am…then have a cold tea for lunch–then switch back to hot for dindin. Or you could use loose tea, then it would stretch further. Those bars look like they turned out great! I never heard of Moosewood. It looks awesome though!! jerk tempeh? 😯 Want! Isn’t it weird going back to “regular” digital cameras after using fancy ones? They feel so tiny lol. 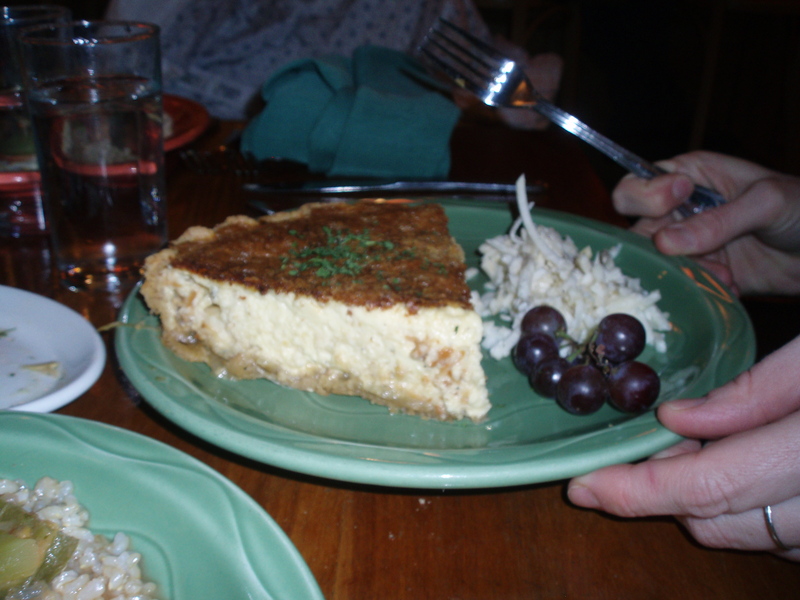 Like Erin, we also got a Moosewood cookbook for the holidays! I need to try some of their recipes. Your stew looks divine! I love the new recipe for the bars! 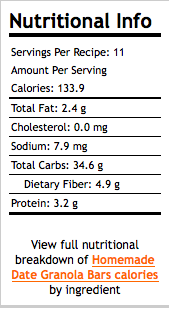 What did you use to calculate the nutrition facts? Traditional Medicinals – Throat Coat! O.m.g. So good. I highly suggest it! wow those bars look great! thank you for sharing! Wow those granola bars look great!